Local Review: Cardboard Club – On Three! 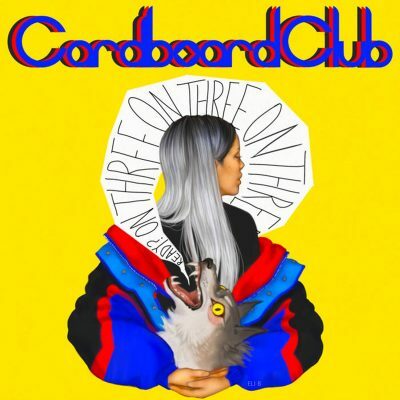 SLC’s Cardboard Club recently dropped On Three!, a short EP comprising only 11 minutes of material. Though brief, the album’s three tracks are filled to the brim—maybe just above it—with heart, good production and possibly the most fun that could be jammed into an EP. Band members Taylor Terrill and vocalist Cristian Banner shared the workload to come up with these songs, with Terrill composing most of the music and Banner writing lyrics. Ricky Casanova, bass, and his brother Jared, guitar and keys, round out the quartet of pop rockers. Though On Three! is their first release, it feels as though they have been at it for years. Each song is a catchy, hummable delight. The opening number is “Katy,” a solid piece from beginning to end. It has appealing synth work, and the transitions are seamless. The rapid “You Make Me Wanna” has a bass-heavy backbone and dance-paced hooks that are all accented by the sharpest of vocals. The cap on the end of the EP is called “Liberate.” It’s another gem, the culminating finale—though I wasn’t aware or prepared for time to be up and truly didn’t want it to be.